Item # 317482 Stash Points: 2,495 (?) This is the number of points you get in The Zumiez Stash for purchasing this item. Stash points are redeemable for exclusive rewards only available to Zumiez Stash members. To redeem your points check out the rewards catalog on thestash.zumiez.com. 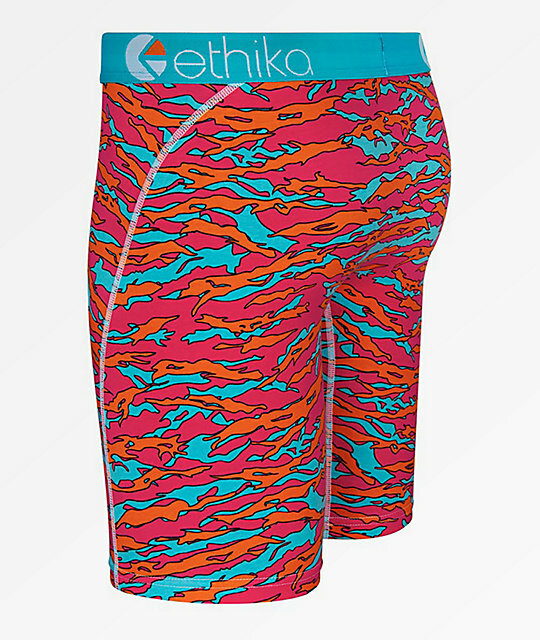 Add some color and comfort to your underwear collection with the Tiger Pop Boxer Briefs from Ethika. 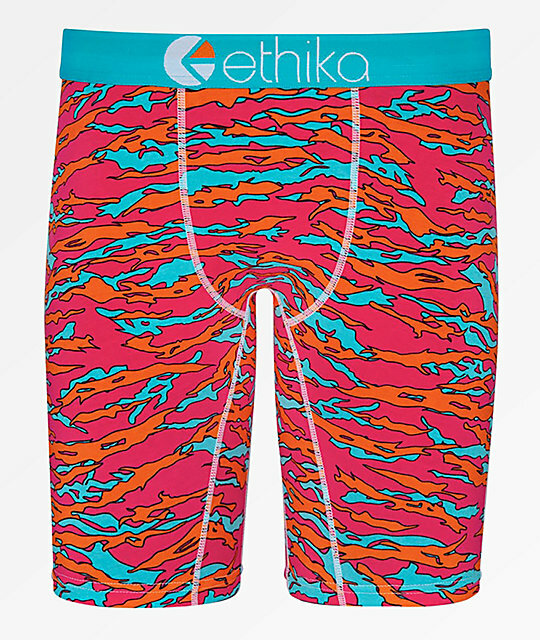 Coming in a blue, pink, and orange tiger stripe design, these boxer briefs offer ultimate comfort thanks to flatlock seams, no-rise technology, and a thick elastic waistband. 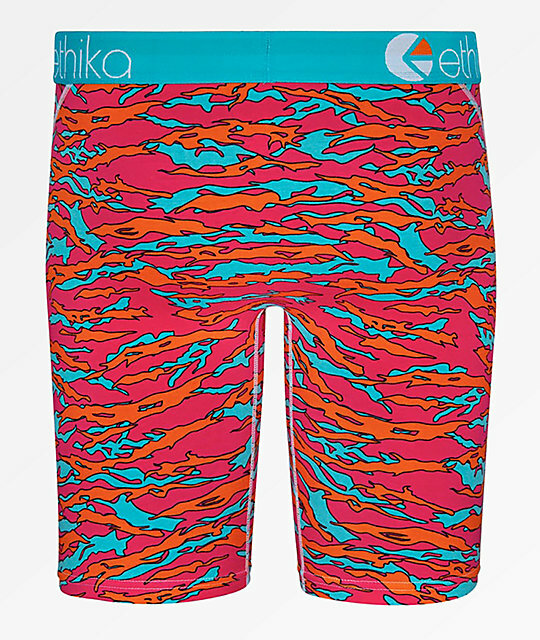 Tiger Pop Boxer Briefs from Ethika.